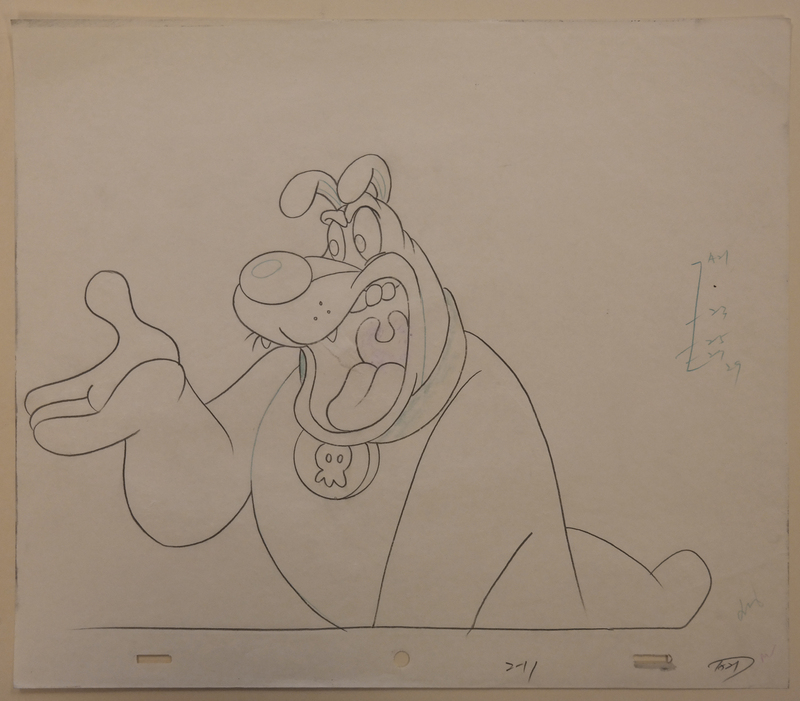 This is an original key matching production cel and background from the Walt Disney Studios production Shnookums and Meat! (1995). 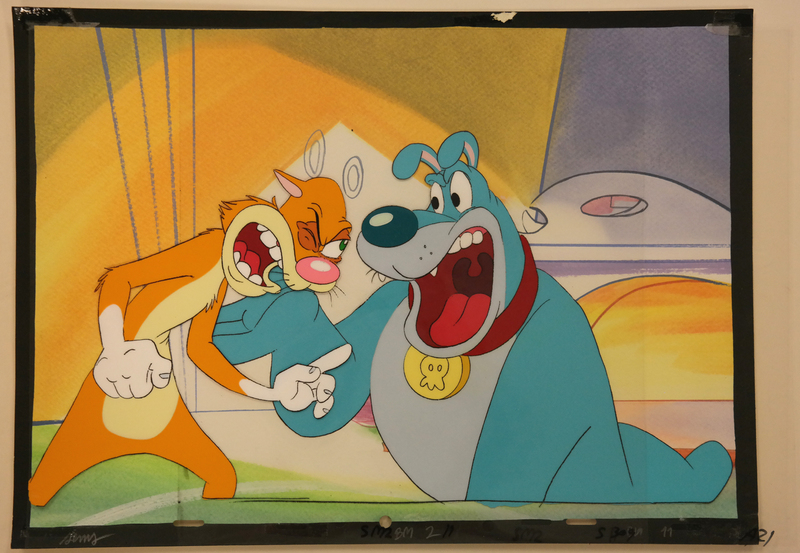 This production cel and background features Shnookums and Meat and was created at the studio and used during the production of the film. The overall measurements of the piece are 11" x 15" and the image itself measures 10" x 14". 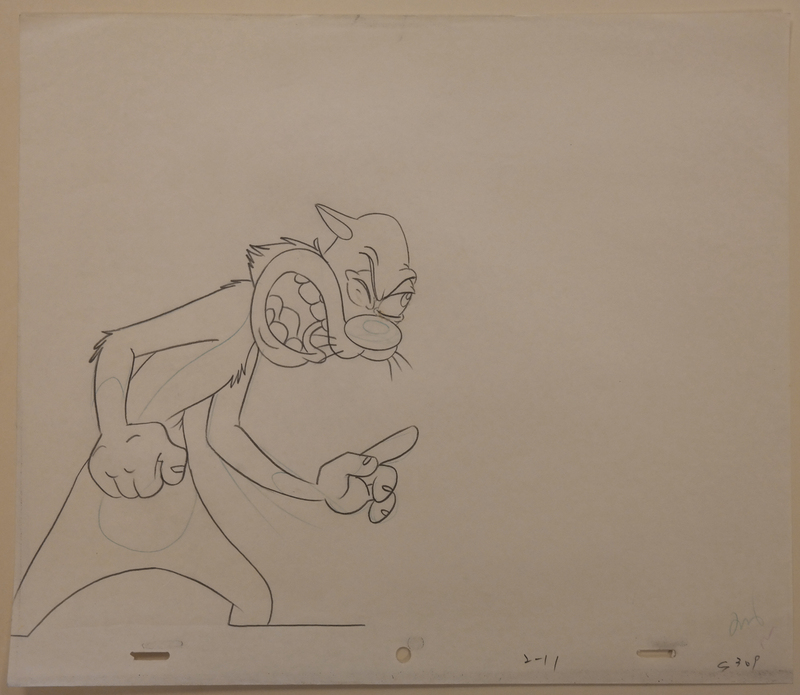 This great set-up has an image of Shnookums that measures 6.5" x 6.5", an image of Meat that measures 7.5" x 10", and it includes the matching production drawings. 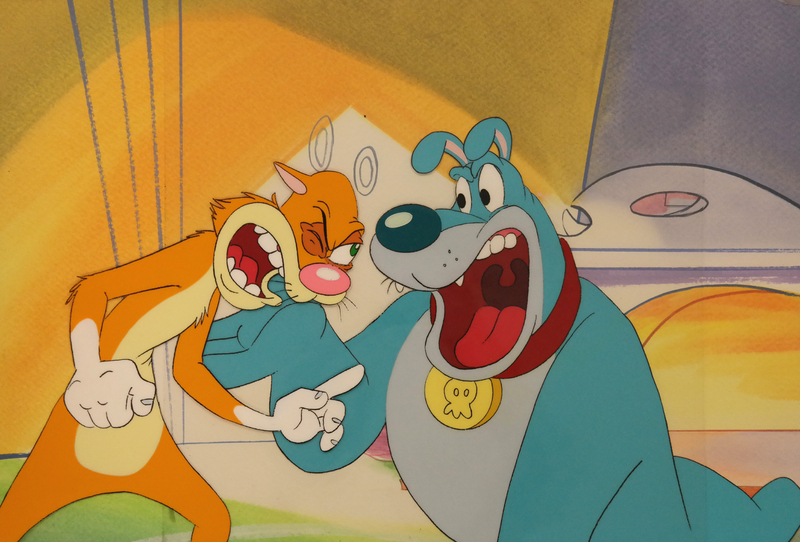 The background and cel are from the original episodes of this series that originated as part of the show, Marsupilami.